The eastbound Interstate 4 (I-4) exit to Amelia Street (Exit 83A) is shifting to a temporary configuration as soon as the morning of April 3. 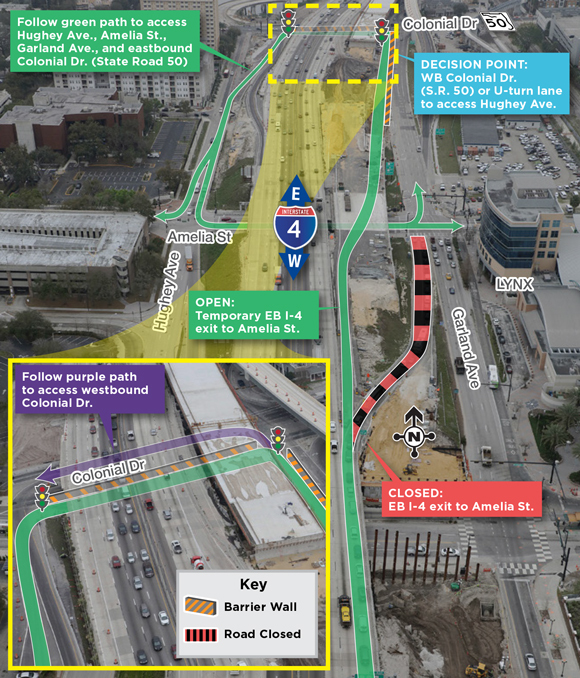 The exit point from I-4 to the new temporary ramp will be just beyond Amelia Street and will place motorists on a separate travel lane partitioned from Garland Avenue by a barrier wall. This interim configuration is necessary to continue construction of the new eastbound I-4 travel lanes through downtown Orlando. Motorists exiting to Amelia Street must heed a traffic signal before making a U-turn onto Hughey Avenue under I-4 adjacent to Colonial Drive (State Road 50). Motorists seeking to access eastbound Colonial Drive must follow this route, turn left onto Amelia Street, turn left onto Garland Avenue, and then turn right onto eastbound Colonial Drive. Motorists exiting eastbound I-4 and looking to access westbound Colonial Avenue may do so by turning left after heeding the traffic signal at the end of the ramp. A temporary shift of the eastbound I-4 exit to South Street will open a newly constructed bridge over Division Avenue while giving crews the opportunity to demolish the old bridge. On any major road construction project traffic switches are essential. To build travel lanes, ramps, and bridge structures, it is necessary to temporarily reroute traffic away from the construction area. Once certain phases of construction are complete, traffic can be realigned to the newly completed lanes. Traffic switches are important because they can minimize disruptions to traffic flow by moving vehicles to new or temporary lanes. To implement these switches, closures of lanes and ramps are often needed. Crews on the I-4 Ultimate project implement shifts overnight to lessen the impact to traffic flow during peak travel hours. Motorists on the I-4 Ultimate construction corridor should stay alert, as traffic switches are increasing in frequency. Some traffic switches are relatively minor, and move travel lanes just a couple of feet. In the next six months, more than 100 traffic switches are scheduled. While adjusting to the new traffic patterns can be frustrating, each traffic switch has a silver lining: The project is a step closer to completion. Traffic switches often denote an important phase in construction. Either crews have completed a significant part of the project that can be opened to traffic, or crews are opening a new work zone to continue their work. 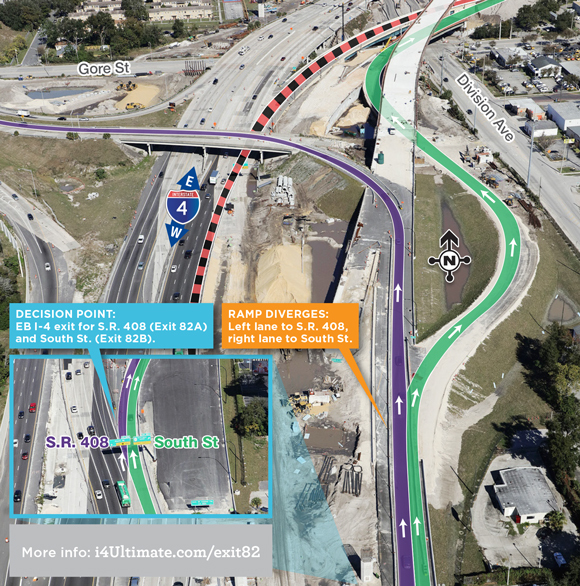 Eastbound I-4 exit to South Street temporarily combines with S.R. 408 exit. 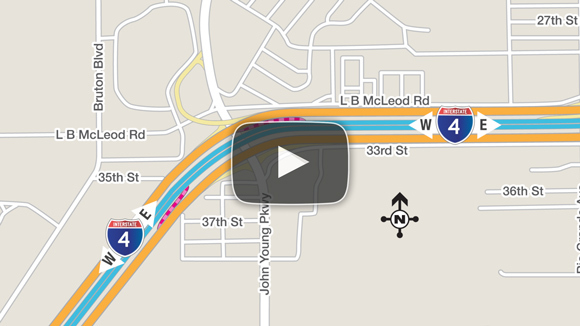 Temporary realignment of eastbound I-4 exit to Amelia Street. Final alignment of northbound Kirkman Road (State Road 435). Open newly constructed eastbound I-4 ramp to northbound Kirkman Road. Open newly constructed eastbound Maitland Boulevard ramp to westbound I-4. To be notified about upcoming traffic switches, sign up for I-4 Ultimate advance construction alerts at fdot.tips/I4Alerts. 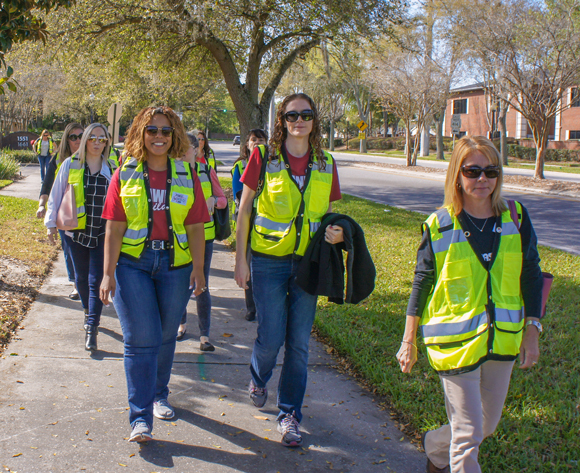 Members of the National Association of Women in Construction (NAWIC) came together on International Women’s Day in March to recognize women working on the I-4 Ultimate project. The NAWIC was founded by 16 women working in the construction industry in Texas with the core purpose of helping women succeed in the industry. Since the 1950s, chapters throughout the United States have provided opportunities for professional development, education, networking, leadership training, public service, and more to NAWIC members. Women in Construction Week, which was observed on March 3-9, provided an occasion for NAWIC members to raise awareness of the opportunities available for women in construction and emphasize the increasingly prominent role women play in the industry. Angela Highland, NAWIC chair and former president of the organization’s Greater Orlando chapter, said the local chapter likes planning activities to highlight local women in the construction industry while also spotlighting projects within their community, such as the I-4 Ultimate project. A group of about 20 women attended a presentation about the I-4 Ultimate project and toured a portion of the project near the Maitland Boulevard (State Road 414) interchange. Debbie Rodriguez, a 12-year member of NAWIC and former president of the Greater Orlando chapter, said she enjoyed learning more about what goes into planning and rebuilding Interstate 4 (I-4). “Driving I-4 every day, you wonder what’s going on, and it’s nice to know there is a method to the madness,” she said. Rodriguez also is the chair for Construction Career Camp for Girls and founder of iBuild Central Florida. Both organizations bring industry leaders together to encourage young adults, especially young women, to consider construction as a career path. She praised SGL — the construction joint venture team of Skanska, Granite, and Lane for the I-4 Ultimate project. Rodriguez called SGL a pioneer in encouraging education and job growth in the construction industry locally, especially among women and minorities. Nearly 5 percent of workers on the I-4 Ultimate project are women, and that number does not include some administrative staff, project managers, subcontractors, or suppliers, according to SGL. Orange Blossom Trail (US 17-92/441) serves as an artery for motorists traveling through Central Florida. That’s why the I-4 Ultimate project is adding major improvements at and around the I-4 interchange at “OBT” — as the road is known locally. The improvements at the interchange are designed to better accommodate motorists entering and exiting the general use lanes and the express lanes. The westbound I-4 exit ramp to southbound OBT is switching to the right side from the left to reduce weaving. The eastbound I-4 exit ramps to both directions of OBT will be combined into one lengthened ramp to help improve interstate traffic flow over OBT. I-4 Express Lane access points will be available near OBT and John Young Parkway. An entrance ramp to the westbound I-4 express lanes from the westbound I-4 general use lanes will be placed just beyond the interchange, while an exit to the eastbound I-4 general use lanes from the eastbound I-4 express lanes will be located just before the interchange. The I-4 interchanges at both John Young Parkway and Conroy Road are considered relatively new — both were constructed nearly a decade ago. These interchanges already feature lengthened bridges over I-4 with ample space underneath and reconfigured ramps to accommodate the additional lane capacity on I-4. 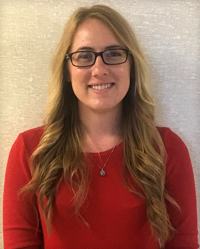 Officially, Danielle Maki is a Business Administrator in the Area 3 office of SGL — the construction joint venture team of Skanska, Granite, and Lane for the I-4 Ultimate Project. But in addition to a long list of daily duties in accounts payable, including tracking invoices and handling requisitions, Maki often arranges special events related to Safety Week observances, service awards, and other milestones that help build morale and teamwork. She keeps all safety forms organized and stocked so they can be quickly accessed when team leaders or supervisors need them. And she encourages participation in the “Why I Work Safe” campaign.